Answer the questions honestly and you'll have nothing to worry about. Finding yourself on the unemployment line is never fun, but when you're able to claim unemployment benefits, you'll at least be able to pay some bills while you look for a new job. Different states have different rules for filing and claiming unemployment benefits, but sometimes, state examiners or "adjudicators" will call you to ask about your claim. The state examiners may have various reasons for the call, but most fall under a few main categories. 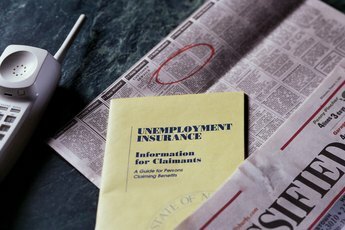 To get unemployment benefits, the reasons for leaving your job come into question, and sometimes state examiners need to check on the details of the separation. Generally, you have to have lost your job through no fault of your own, such as when you're laid off, or sometimes, when you're fired or leave a job because an employer has asked you to move out of state to keep your job. 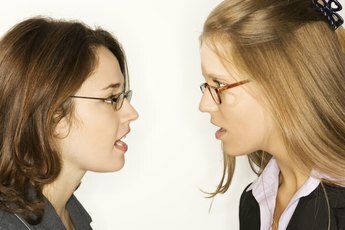 If you're fired, you'll usually need to prove that it wasn't due to misconduct. If you're fired, examiners often contact the employer about it as well. State examiners often also want to know some basic details about your employment with the former employer. They'll often ask you when you started and stopped work there and how much money you made. They may also ask you what happened on the day your work there ended, and the names of the supervisors involved in your separation. Getting unemployment is not a free ride -- you're going to have to be making a legitimate effort to look for a job while you claim benefits. During some telephone interviews, examiners may ask you details about your job search. They may ask where you've searched for jobs and which employers you've interviewed with. Examiners may also want to know about your availability for work, since you'll be expected to be ready and willing to work at all times. If an examiner knows you've just taken a three-week vacation out of town and still claimed benefits, she may be calling to check on your eligibility during that time frame. Examiners may also need to get more details about other activities in which you're engaging during the time you're claiming benefits. If you've enrolled in college or other schooling, they may ask about the details of that. You may be allowed to take night classes so you can search for a job during the day, but may not be eligible for benefits if you're in school full-time. The auditor may also want to know about any new businesses you've started, as that may affect your eligibility and the hours in which you're spending looking for work. Does My Former Company Know I'm on Unemployment?